1) (Lord Seaford. Charles Rose Ellis, Esq., was so created 1826; his sons to the Barony of Howard de Walden, on the death of his maternal great grandfather, the 4th Earl of Bristol, 1803. 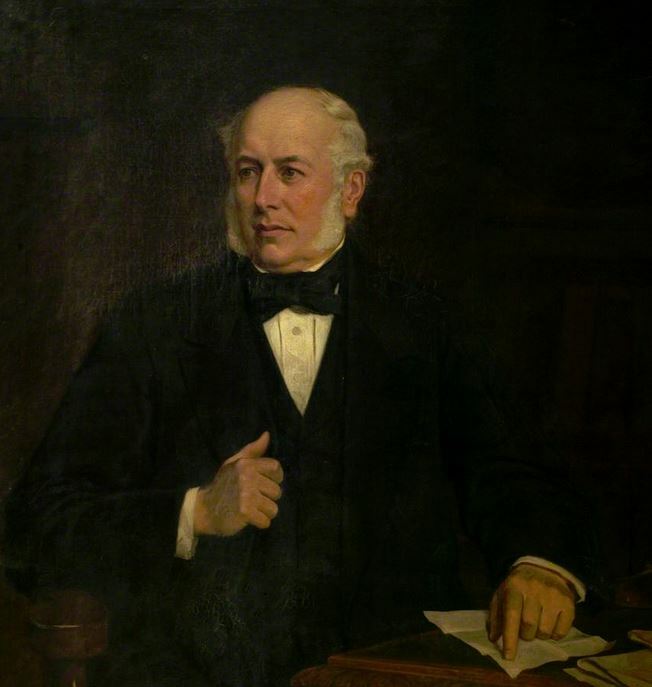 Lord Seaford d. 1845, when the Barony of Seaford was inherited by Lord Howard de Walden). Erminois on a cross sa. five crescents ar. Crest—On a mount vert a goat’s head erased ar. Supporters— Dexter, a goat ar. ; sinister, an eagle reguard. ppr. Motto—Non modo sed quomodo. 2) (Baron Howard de Walden). Quarterly, 1st, Ellis, erminois on a cross aa. five crescents ar. ; 2nd, Hervey, gu. on a bend ar. three trefoils vert; 3rd, Felton, gu. two lions pass. ar. ducally crowned or; 4th, Howard, gu. a bend betw. six cross crosslets fitchce ar. on the bend an escutheon or, charged with a demi lion erased and pierced through the mouth with an arrow, within a double tressure flory counter­flory all gu. Crest—A goat’s head ar. issuing from a mount vert. Supporters—On either side a lion ar. on the neck within a collar gemel gu. three trefoils slipped vert. Motto—Non quo sed quomodo. 3) (Agar-Ellis Viscount Clifden). Quarterly, 1st and 4th, or, on a cross sa. five crescents ar., for Ellis; 2nd and 3rd, az. a lion ramp, or, for Agar. Crest—A female figure naked ppr. with hair flowing down to her waist. Supporters—Two greyhounds sa., the dexter charged on the body with three crescents in pale, and the sinister with as many crosses reccrcelee disjoined ar. Motto—Non haec sine numine. 4) (or Elys) (Sir Henry Elys, Yorkshire). Or, on a cross sa. five crescents. (Roll of Arms, temp. Edward II. ; Har. MSS., 4033). And Sir John Elys. Same Arms. 1392-7. (Roll of Arms). 5) (or Elys (Kiddall Hall, co. York; Sir John Elys, of Kiddall Hall, and his brother. Sir William Elys, of Everingham, temp. Edward III. Elys, of Kiddall Hall, terminated in an heiress, who m. Rev. Randall Borroughes, at the end of the 18th century, and Elys, of Everingham, ended in an heiress in the 15th century, Constable Maxwell now quartering the arms). (Shinfield, co. Berks, and Swallowfield, co. Wilts, temp. James I.). As Ellis, of Kiddall and Stoneacre (Monumental Inscription, Shinfield Church). (Orford, co. Suffolk, and their descendants, viz., Welbore Ellis, Esq., of the Albany, London, Charles Ellis, Esq., of Maidenhead, Capt. T. R. Ellis, &c.). (Edward Shipley Ellis, Esq., eldest son of the late John Ellis, Esq., M.P. for Leicester; descended from Ellis, of Dinnington, co. York). (Redcliffe Parade, Bristol; descended from Ellis, of Escrick, co. York). Or, on a cross sa. five crescents ar. Crest—A woman naked, her hair dishevelled or (borne temp. Edward III., as depicted on a helmet on a stained glass window in the chapel of the house of Mr. Vavasour, at Hazelwood. Visit. York, 1585, Har. MSS., 1394). 6) (West Haningfield, co. Essex. Visit. Essex, 1612). Az. a mermaid or. 7) (Cornwall). Same as Ellis, of Kiddall. Crest—A mermaid with mirror and comb (Monumental Inscription, Sennen Church). 8) (Anthony Ellis, D.D., Bishop of St. David’s, 1752-61). Ar. three eels in pale barways naiant sa. 9) (Norfolk; borne by Rev. Joseph Ellis, of Norwich, ob. 1712, the late Sir Samuel Bordon Ellis, Ellis-Jervoise, and others of Norfolk origin). Ar. three eels naiant in pale sa. 10) (borne by the late Thomas Flower Ellis, Esq., Richard Ellis, of Camberwell Green, Rev. Edward Chauncy Ellis, &c., descended from Richard Ellis, of Edington, co. Wilts, buried there, 1703). Ar. three cels naiant in pale sa. Crest—A dolphin crowned. 11) (Bradsay, co. York. Visit. York, 1585. Har. MSS. 1394). Or, on a cross sa. five crescents or. 12) (Thomas Ellis, Esq., of Sandwich, M.P. temp. Edward III. ; arms in Ash Church, near Sandwich). Az. on a fess ar. betw. six cross crosslets fitchee of the second three pellets. 13) (Swineshead, co. Lincoln. Visit. Lincoln, 1565). Gu. on a fess ar. betw. three crescents or, as many escallops az. Crest—A garb vert bezantee. 14) (Wyham, co. Lincoln, bart., extinct 1742). Same Arms. Crest—A crescent gu. surmounted by an escallop or (Har. MSS., 1550, p. 35). The arms, Ar. on a fess betw. three crescents or, as many escallops gu., are in the Church of Kingston-on-Soar, co. Notts. 15) (Thomas Ellis, Mayor of Norwich, 1460-74). Sa. on a chev. betw. three women’s heads erased ar. crined or, as many roses gu., quartering Ar. on a chev. sa. betw. three crescents az. as many leopards’ faces of the field (Weever’s Funeral Monuments, p. 801). 16) (Bourn Castle, now Bourn Hall, co. Cambridge; possessed by Nicholas Ellis, temp. Henry VII., Inq. p. m. Charles Ellis, Esq., of Meldreth, and John Ingle Ellis, Esq., of Shepreth, are descended from this family). Barry of six gu. and erm., as depicted in stained glass in Bourn Church. 17) (Northope, co. Flint, Plas-Ucha and Tybbin Bychen, in the township of Cairvalblough). Ar. on a bend vert three wolves’ heads erased of the field. 18) (Bodvel and Rhyllech, co. Canarvon, Chudleigh, co. Devon, and Llanfairfechan, co. Carnarvon). Sa. three fleurs-de-lis ar. and a label of four points of the second, quartering, quarterly, 1st and 4th, gu. ; 2nd and 3rd, vair over all a bend or, for Constable. Crest—A fleur-de-lis ar. 19) (or Elys) (Chiselhurst, co. Kent. Visit. Kent, 1574). Same as Elys, of Kiddall. Crist—A goat’s head couped or, charged with a pale sa. thereon three crescents ar. (Pedigree in Har. MSS., 1141, p. 7, tigncd “Wm. Ryley, Norroy King of Arms”). 20) (St Albans’ co. Herts; descended from Ellis, of Chiselhurst; granted to John Ellis, Esq., of St. Paul’s Churchyard, Sheriff of Herts, 1668). Az. on a fess betw. six cross crosslets fitchee ar. three torteaux. Creit—A demi lion ramp. ar. collared gu. bearing three cross crosslets fitchee ar. 21) (Prestwich, co. Lancaster). Gu. a mermaid with mirror and comb ar. 22) (Glasfryn, co. Merioneth). Ar. a mermaid gu. crined or, holding a mirror in her right hand and a comb in her left gold. Crest—A mermaid, as in the arms. Motto—Wrth ein ffrwythan yn hadnabyddir. 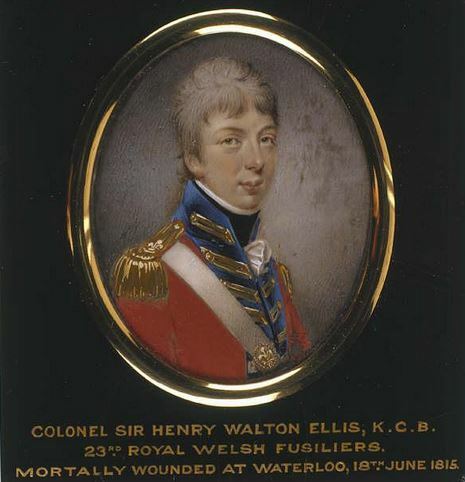 23) (granted to the family of Sir Henry Walton Ellis, K.C.B., killed at Waterloo, son of Major-Gen. John Joyner Ellis, of Kempsey, co. Worcester). Gu. on a fess or, betw. two crescents in chief and in base an urn ar. three escallops of the field, pendent from the chief point by a ribbon and clasp, a representation of the gold cross and clasp presented by command of the Prince Regent to Sir Henry W. Ellis, for services in the Peninsula; on a chief embattled of the second, pendent by a ribbon gu. fimbriated az. a representation of the Waterloo medal, beneath it the word “Waterloo,” betw. a branch of palm and another of cypress ppr. Crest—Out of a mural crown or, a cubit arm in bend vested gu. cuffed az. the hand grasping a sword ppr. pommel and hilt gold, the blade broken and encircled by a wreath of cypress, pendent by a ribbon from the wrist, a representation of the Waterloo medal, as in the arms. Mottoes—Decorum pro patria mori; over the crest: Bella dextra. 24) (granted to William Ellis, Comm. R.N., son of John Abigail Ellis, of Great Yarmouth). Ar. a cross parted and fretty sa. four crescents in cross az. Crest—Three escallops az. in front of a mermaid wreathed across the shoulder with red coral ppr. Motto—Primus. 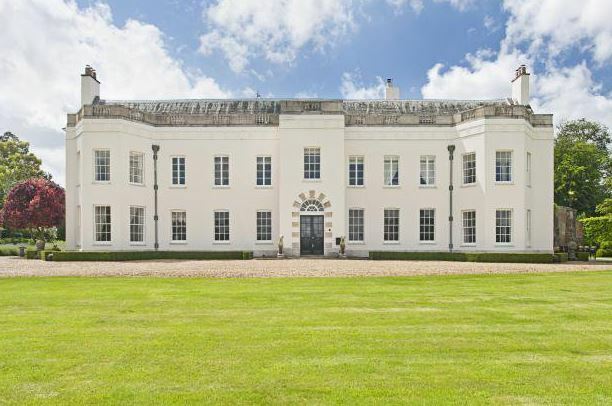 25) (Wyddial Hall, co. Herts). Erm. a lion pass. guard. gu. Crest—Out of a ducal coronet or, a lion’s head gu. crowned of the first. Motto—Forte et fidele. 26) (Overleigh, co. Chester, 1574). Erm. a lion ramp. az. Crest—A female affrontee ppr. couped at the waist habited gu. crined or. 27) (Glasfryn, co. Carnarvon). Sa. a chev. betw. three fleurs-de-lis ar. Crests—1st: A mermaid gu. ; 2nd: An arm embowed in armour, holding a broken spear-head ppr. Motto—Gweithred a ddengys. 28) Gu. a lion ramp. ar. tail forked, armed or, oppressed with a bend (another, a fess) az. 29) Ar. a lion ramp. sa. charged on the shoulder with a dolphin of the field. 30) (Trevoar; quartered by Carew, of Bickley, co. Devon. Visit. 1620). Ar. three eels coiled vert. 31) Ar. on a cross sa. five escallops or, in the first quarter a spear-head az. 32) Gu. six plates, three, two, and one. 33) Ar. a saltire gu. 34) (Ireland; granted to John Ellis, descended from an ancient family of that name in England, who served as captain of a company of foot, under Sir Arthur Chichester, Lord Deputy of Ireland). Ar. a cross sa. betw. four escallops gu. Crest—A swan, wings expanded, murally gorged all ppr. Motto—Mors mihi vita fide. 35) (Elliestoun, co. Roxburgh). Az. three eels naiant fessways in pale ar. Crest—A lily close in the flower ppr. Motto—Sub sole patebit. 36) (Southside, Scotland). Or, three helmets, the beavers open ppr. Crest—A gauntleted hand grasping an adder ppr. Motto—Sperno. 37) (Saughton Mills, Scotland). Gu. a sword in bend ar. betw. two helmets or. Crest—A gauntlet surmounted of a dove holding an olive branch in her beak ppr. Motto—Pax finis belli. 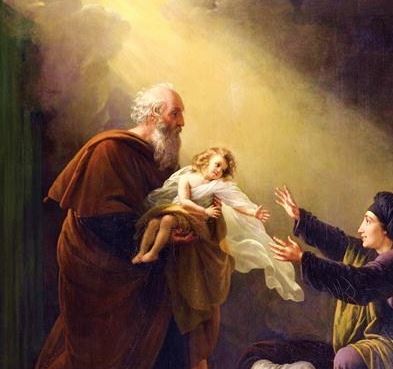 Elis is a vernacular form of the biblical name Elijah, which in Hebrew is spelled Eliyahu meaning “My God is Yahu (or Jah” or “Jehovah is God” who was a prophet and miracle worker from the northern kingdom of Israel who lived several centuries before Christ. Second, in Wales, it is derived from the Welsh masculine given name Elisedd, which in turn derives from the word elus, meaning benevolent or kind. It should be noted that Ellis was still used a font (first) name as late as the sixteenth century (ex. Ellis Pigot is recorded in the Wills at Chester in 1697, as is one Ellis Pollard). In his 1860 book, Patronymica Britannica, Mark Anthony Lower, states the following in regard to the name Ellis: “[it] was in use in France as early as the days of Charlemagne, as a baptismal designation, and afterwards gave to several families”. He also writes “William Alis, mentioned in the Domesday Book as the progenitor of the Ellises of Kiddal, county York, and Stoneacre, county Kent, from whom sprang Sir Archibald Ellys, a crusader who is said to have originated the cross and crescent so common to the Ellis coat-armour”. Further, he writes “Elias, though uncommon now as a Christian name, was not so in the early Norman reigns, and indeed it had become hereditary at the time of the Norman Conquest in the form Alis”. The last name Ellis ranks 121st in popularity in terms in the United Status as of the 2000 Census. The name ranks particularly high in the following six states: Oklahoma, Wyoming, Idaho, Mississippi, Tennessee, and North Carolina. The surname Ellis frequency/commonness ranks as follows in the British Isles: England (75th), Scotland (286th), Wales (45th), Ireland (743rd) and Northern Ireland (394th). In England, it ranks highest in Durham and Yorkshire. In Scotland, it ranks highest in Kinross-shire. In Wales, it ranks highest in Denbighshire. In Ireland, it ranks highest in Wicklow. The name is also present throughout the remainder English speaking world: Canada (212nd), New Zealand (121st), Australia (101st), and South Africa (282nd). The 1890 book Homes of Family Names by H.B. Guppy, states the following in regard to this surname: “Fairly well distributed over England and Wales, excepting in the four northern counties, where its place may be taken by Elliott. It is represented in Wilts and Lancashire by Ellison. It is at present most numerous in Devon, Cambridgeshire, Essex, Kent, and the West Riding”. The earliest known bearer of this surname was William Elyas who was documented in Yorkshire in 1200 AD. Next, William Elis who was documented in Lincolnshire in 1202 in documentation related to Danelaw (laws and customs present in England included by Denmark and the Danish people). Robert Elys (or Helys) was recorded in the Calendar of Documents in county Essex in 1250 AD.A one Andrew Elice was documented in the Subsidy Rolls of Bedfordshire in 1309 AD. The Hundred Rolls of 1273 AD, a census of Wales and England, known in Latin as Rotuli Hundredorum lists five bearers of this surname: Henry filius (son of) Elis in county Cambridgeshire, Agnes uxor Elys in county Cambridgeshire, Simon filius Elys in county Bedfordshire, Nicholas filius Elye in county Cambridge, and Roger filius Elye in county Salop. The Poll Tax of Yorkshire in 1379 AD lists two bearers of this last name: Robert Elleson, Adam Elisson, Stephanus Elisson, Alicia Elys, Johannes Elynson, and Johannes Elyson. The famous genealogist Bernard Burke’s book “The Landed Gentry” discusses five branches of this family: 1) Ellis of Wyddial Hall, 2) Ellis of Glasfryn, 3) Ellis of Sea Park, and 4) Ellis-Jervoise of Herriard. Charles Henry Brabazon Heaton, Esquire of Wyddial Hall, county Hertsfordshire, was born in 1864 and succeeded his father in 1870. Burke traces the Ellis genealogy back to a family of this name in Alrhey in county Flint, with its branches at the Wern and Pickill, a family of great antiquity in North Wales. The direct ancestor was Tyngad, son of Tudyr Trevor, and Angharad (daughter of Howel Dha), weho seuccedded to part of his father’s son. He had a grandson named Kenrick, son of Rhiwallon, who was a noble in Bromfield and Lord of Whittington, who married Tuda, daughter of Ivor Lord of Rhos, and was killed in battle against the English in 1073 AD. The ninth descendant from him was one Richard Ap Howel, grandson of Morgan, who married Margaret, daughter and heir of Ellis, son of Ellis Ayton, of Ruabon, by Parnel, daughter of Sir William Bulkeley. Thomas Ellis married Jane, daughter of G. Salusbury of Erbystock, and their grandson was John. This John Ellis was of Brasenose College Oxford and he married Katherine, daughter of R. Kingsman, of Overton and they had a son also named John. This John was born in 1688 and he married Margretta, second daughter of Thomas Phipps of Heywood, and he had two sons: William (Governor of Patna) and Brabazon. 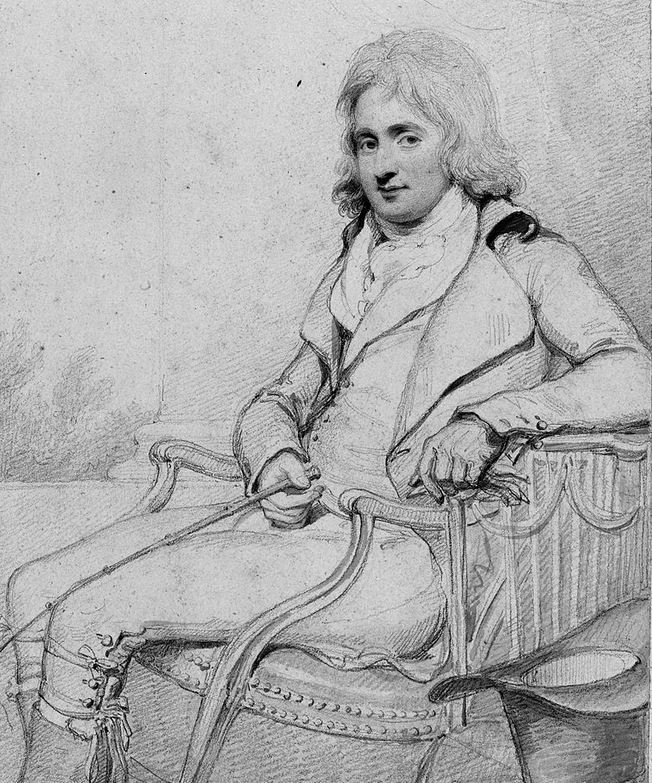 Brabazon Ellis was born in 1723 and he had two issue: Elizabeth (married Samuel Elias Sawbridge) and John. This John Thomas Ellis, born in 1756, was an Esquire and High Sheriff of county Herts and was a member of Parliament. He married Mary Anne, daughter of John Heaton of Bedfordshire, and he had issue: John Thomas, William Fane, Henry Bennet (midshipman in royal navy), Julia (married Reverend Henry B. Thorold), and Charles Heaton. His only surviving son was Charles Heaton Ellis, an Esquire of Wyddial Hall who was born in 1789. In 1819, he married Louisa, daughter of Sir J.H. Stracey, and had several issue with her including Charles John. Charles John was born in 1830 and was in Her Majesty’s 9th Lancers and later the 6th Dragoon Guards. 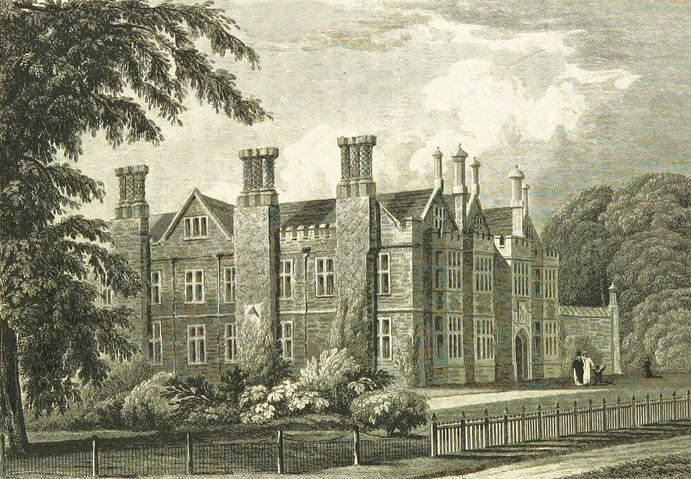 His other son, Edward Henry Brabazon Ellis, was Esquire of Wyddial Hall and Justice of the Peace who was born in 1834 and was educated at Harrow and Exeter. 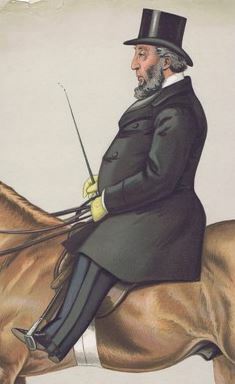 He succeeded his father in 1865, and in 1863, he married Louisa Hattiott, daughter of Colonel Kingscote. His children were: Charles Henry (mentioned at the beginning of this paragraph), Sydney Thomas Edward (1867), a son born in 1868 who died young, and another son as well. He died in 1870. The Ellis Family Crest was blazoned in heraldry as follows: Ermine, a lion passant guardant gules. Crest: Out of a ducal cornonet or, a lion’s head gules crowned gold. Reverend John Williams Ellis was of Glasfryn in county Carnarvon, who was a Justice of the Peace, for counties Carnarvon and Merioneth, Deputy Lieutenant for the latter, and Rector of Llanaelhaiarn, was born in 1808. In 1831, he married Harriet Ellen, daughter of J.H. Clough, and had four children with her: 1) Thomas Parr Williams (married Cordelia Lloyd), 2) Reverend John Clough Williams (married Ellen Mabel Greaves), 3) Harriet Isabella, and Ellen Augusta. The Ellis genealogy is of Welsh extraction and the ancestry is traced back to one of the oldest Welsh families. Reverend John Ellis was of Prebendary of Llanfair 1713. He married and had a son named John Ellis, Archdeacon of Merioneth, who married Miss Lloyd, heiress of the Pentally and Trallwyn Estates, and had the following children: John, Hugh (married daughter of J. Wright of Thuntsford), Thomas, Griffith, and Richard (Rector of Llanrug, married Susan Meade). His third son, Reverend Thomas Ellis, was Treasurer of Banjor Cathedral, and Rector of Llanfachraeth, county Anglesey, who in 1807, married Jane, heiress of Brondanw and daughter of John Bulgin, and had five children with her: John Williams, Reverend Thomas Roberts, William Hugh, Ellen Frances, Sidney Jane, and Catherine Dorothy Anne. This family was seated at Glasfryn, Pwllheli in county Carnarvon and at Brondanw in Merioneth. The Ellis Coat of Arms or Ellis Family crest is blazoned as follows in heraldry: Sable, a chevron between three fleur-de-lis argent an escutcheon of prestence, in right of wife, of Clough of Plas Clough. Crests: 1st: A mermaid gules; 2nd: An arm embowed in armour holding a broken spear-head proper. Robert Francis Ellis Esq. of Sea Park in county Wicklow, was Justice of the Peace and High Sheriff in county Monaghan in 1867 and was born in 1822. He succeeded his father in 1848 and in 1851 he married Elizabeth Mary, daughter of James Hawkins of St. Feton’s in Dublin, Ireland, and he had seven children with her: Henry Leslie (Lieutenant 6th Dragoons), Robert Leslie, Francis Leslie, Alexander Leslie, William Whewell, Isabella Frances Leslie, and Emily Elizabeth Leslie. The Ellis genealogy is traced back to Thomas Ellis of Monaghan, son of John Ellis, settled in Ireland toward the end of the reign of King Charles II (1660-1685). He and his wife Mary had numerous issue including Francis and Richard (grandfather of Thomas Ellis who was Member of Parliament Master in Chancery). Francis was born in 1683 and he married Joan Maxwell and had the following issue with her: Henry (born 1721, Governor of Georgia and Nova Scotia), Robert (of Arduncheon, married Penelope Leslie), Francis (married Mary Kilbee), and others. The family bore an arms blazoned as follows: Gules, on a fess argent three escallops azure between as many crescents or, with a crest: A crescent gules surmounted by an escallop or. Francis Jervoise Ellis-Jervoise, Esquire of Herriard Park in county Hants, and The Moat, Britford, Wiltshire, was born in 1809 and his second wife was Mary Louisa, daughter of George Marx, and had ten children with her: Francis Michael (married Rachel Mary Eyre), John Purefoy (Captain 3rd Hussars), Arthur Tristram (married Annie, widow of Reverend A. Deck), Robert Purefoy, Edmund Purefor (a midshipman in the Royal Navy who served aboard the Bellerophon), Selina Mary (married G.R. Elwes), Constance Catharine (married G.F. Marx), Edith Purefor, Ethel Madeline, and Agnes Winifred. The lineage is traced backed to Rcihard Jersveys of Northfiled and Weoly Park who was born in 1500. 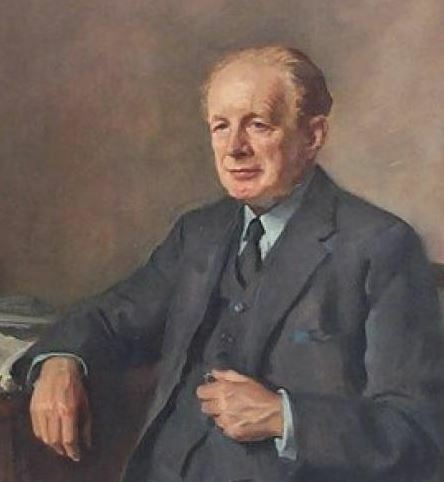 Burke’s other book, Peerage and Baronetage, mentions Sir Robert Geoffrey Ellis, Baronet, who was Member of Parliament for Threshfield in West Riding, county York, who was Justice of the Peace, Deputy Lieutenant, and Member of Parliament for Wakefield in 1922-1923. He was born in 1874 and created a Baronet in June of 1932. He held numerous titles. Burke traces the Ellis genealogy and ancestry back to Thomas Ellis, who was from a family who had been settled in southern county Cambridgeshire for several generations. He had a son named Robert who was born at Newton in 1695. He lived in Meldreth in 1734 and married three times. He had a son named Robert who was born in 1752. In 1779, this Robert married Sarah, daughter of John Hitch, and had a son with her. This son was John Hitch Ellis, who was born in 1780 and was a Captain in the 66th Foot. In 1815, he married Mary Ann, daughter of Reverend Henry Shepherd, and he had a son with her named Robert. Robert Sage Ellis of Willingham in county Cambridge was born in 1816 and he had a son named William Henry. William Henry Ellis was of Shipley Hall in county York who was born in 1844 and was Justice of the Peace. He married Jane, daughter of Henry Martin, of Adelaide, South Australia, and had issue with her, including Sir Robert (mentioned at the beginning of this paragraph. This Ellis Coat of Arms (erroneously called the Ellis Family Crest) is blazoned in heraldry as follows: Or, on a cross sable, five crescents argent, in the first quarter a lozenge of the second charged with a bend vair. Crest: In front of two shepherds’ crooks in saltire sable, a mermaid proper. This family was seated at Moat House, Melbourn in county Cambridgeshire in England. 9) John Ellis of Dedham, freeman 1641, married Susan Lumber and had issue John and Hannah. His second wife was Joan, widow of John Clapp, of Dorchester, had Samuel, 1660, and Joseph 1662. 10) John Ellis of Sandwich, married Elizabeth, daughter of Edmund Freeman, in 1645, had Bennet (1649) Mordecai (1651), Joel (1655), and Matthias (1657). 15) Thomas Ellis of Medfield, 1649, may have been the same person baptized in Wrentham, England, 1629, and married Mary, daughter of Thomas Wight, and had issue with him: Mary, Abel, Samuel, Thomas, Patience, Ruth, Thomas, Joanna, and Juda. David Ellis came to Jamestown, VA in 1607. David Ellis came to Virginia aboard the Mary Margrett in before 1623. Richard Ellis, age 29, came to Virginia aboard the Bonaventure in January 1635. Elizabeth Ellis, age 16, came to New England aboard the Abigall in June 1635. Robert Ellis, age 22, came to Virginia aboard the Constance in October 1635. Later settlers in colonial America bearing this name include Rowland Ellis (New Jersey 1711), Francis Ellis (Virginia 1714), Everard (Pennsylvania 1729), Evered (Pennsylvania 1739), and Margaret (Maryland 1740). In Canada, some of the earliest bearers of the last name were Thomas and Jacob Ellis who came to Nova Scotia in 1749. In Australia, one of the first bearers, Walter Ellis, a convict from Middlesex, England, came aboard the Agamemnon in 1820, and he settled in New South Wales. In New Zealand one of the first settlers with this name was W (William or Walter?) Ellis who arrived in the city of Auckland in 1836. The name was also present in the Caribbean. William Ellis, son of Robert and Mary, was baptized in St. Michael’s, Barbados in 1678. Gamaliell Ellis, who owned two slaves was recorded as living in the Towne of St. Michaell’s in Barbados around 1680. Charles Bolton’s American Armory, published in 1927, contains one entry for the surname Ellis: Per chevron sable and gules a chevron or bet 3 fleurs-de-lis arg. Embr. by Elizabeth Ellis, b. 1732, daughter of Dr. Edward Ellis of Boston. Owned by Henry W. Montague, 32 W. Cedar St., Boston. It should also be noted Crozier’s American Armory and Matthew’s American Armoury and Blue Book do not contain any blazons for Ellis. George Fraser Blacks’s 1946 book The Surnames of Scotland states the following in regard to this last name “From Elias, which see, a favorite personal name in the Middle Ages, through Old English Elis or Elys. The name was wonderfully popularized throughout western Europe by the Crusaders. John Heles was burgess of Dundee in 1482. David Elleis was “keypar of the parroche kirk” of Aberdeen in 1565, and John Elleiss appears there in 1522. Richard Eleis rendered to Exchequer the accounts of the bailies of the burgh of Jedburgh in 1563, and David Elies was appointed “to teche and leir ony barnis abon sax yeris” in Stirling in 1557. Andrew Elleis, notary in Kirkwall, 1634, and Alexander Elleis had a charter of lands in Newington in 1639. Alexander Ealis is recorded in Melrose, 1641, and George Elleis in Darnick, 1662. Patrick AEles was cordiner in Edinburgh, 1648, Magister John Eleis of Eleistoune was heir in lands in the lordship of Kilpount, 1686, Andrew Elliss appears in Regorton, 1719, and Bessie Ellies in Caimwheep, 1738. The wife of James Anderson, author of the Diplomatum Seotiae Thesaurus, was an Ellies of Elieston or Ellistoune, West Lothian, a family said to be of English origin. Aleis, Ales, and Aless are given in index to ROA as forms of Ellis. Eilleis 1677, Eleiss 1685, Eles 1606, Elies 1670”. There are hundreds of notable people with the Ellis surname. This page will mention a handful. Famous people with this last name include: 1) Earl Hancock Ellis (1880-1923) who was a Lieutenant Colonel and a United States Marine Corps Intelligence Officer from Iuka, Kansas whose operations planning played a critical role in America’s successful amphibious assault that defeated Japan during World War II, 2) Powhatan Ellis (1790-1863) who was a United Stated Senator from Mississippi, as well as a federal judge, 3) Rowland Ellis (1650-1731) who was a Welsh Quaker who owned a farm near Dolgellau and emigrated to Pennsylvania due to religious persecution, 4) Alexander John Ellis (1814-1890) who was an English mathematician and philogist (the study of language) from Hoxton, Middlesex, 5) Thomas Edward Ellis (1859-1899) who was a Welsh politician that led Cymru Fydd, which was a movement aimed at giving independence to Wales, 6) Marc H. Ellis (1952) who was an American author from Miami, Florida who was involved with liberation theologian, 7) Katherine Margaret Ellis (1977) who is an Australian politician who is a member of the Australian Parliament for Adelaide in South Australia, 8) Job Bicknell Ellis (1829-1905) who was an American that pioneered mycology (study of fungus), 9) Clairborne Paul Ellis (1927-2005) who was an American segregationist and Ku Klux Klan who later turned into a civil rights activist, and 10) Bret Easton Ellis (1964) who is an American author from Los Angeles, California who is a member of the postmodernism literary movement known for various works including American Psycho. Three prominent heraldic symbols in the Ellis Coat of Arms (erroneously called the Ellis Family Crest) include the crescent, mermaid, and eel. The mermaid is depicted exactly as we now picture the mythical creature, and is almost always shown with dishevelled hair and looking into a hand mirror. They tend to more frequent as supporters than being illustrated upon the shield itself. Wade cites Sloane Evans in his belief that the mermaid represents the “Eloquence” of the bearer. Fish in great variety abound in Heraldry, many different species inhabit coats of arms, although truth be told many of the actual images are sometimes indistinguishable, being shown as a stylised, and easily recognised “trout” shape that a child might draw. The actual name used in the coat of arms may be some play-on-words or allusion to the family name, as in the famous arms of the de Lucy family, being “Gules, three lucies or”, this being an ancient name for the fish we call today a “pike”. It is possible that the eel, also known as a grigg has been used in this fashion, or it may simply relate to some fishing activity in the history of the family. I’m looking for a Coat of Arms from one of my ancestors. My Genealogy shows that I’m a cousin to King Edward I and another ancestor was a Knight in Wales that stopped the Normans and the King of Wales was so pleased with him that he gave him his daughter for wife. I don’t know if she was a good gift or no.